The acting chief of Baltimore City Schools addressed a video that shows an officer hitting and kicking a young person at a city school during an afternoon press conference Wednesday. The video sent to Baltimore-based WMAR showed an incident at REACH! Partnership School in Baltimore City. Officials say the young people in the video are not students at that school, but it's unclear if they are students elsewhere. Investigators are still trying to identify them and are asking for the public's help. 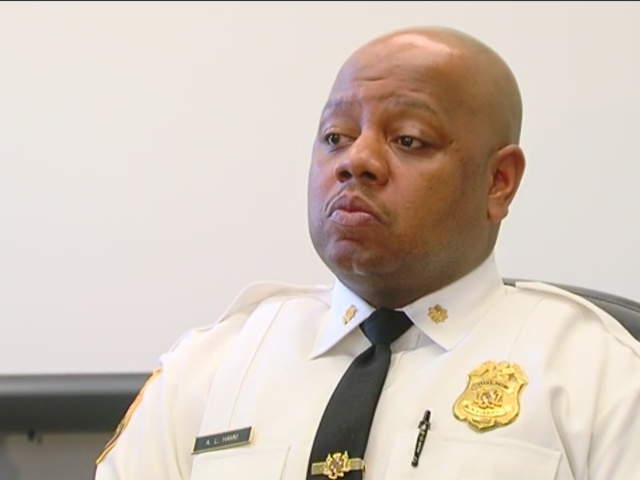 A school spokesperson confirmed the chief of police for city schools and two other officers have been placed on administrative leave. The incident happened around 10:17 a.m. local time Tuesday when officers who were on foot patrol between several school campuses were called to the school to investigate reports of intruders. The officers were armed at the time. A criminal investigation and an internal administrative investigation are underway.